Assaggio - New style on the menu! 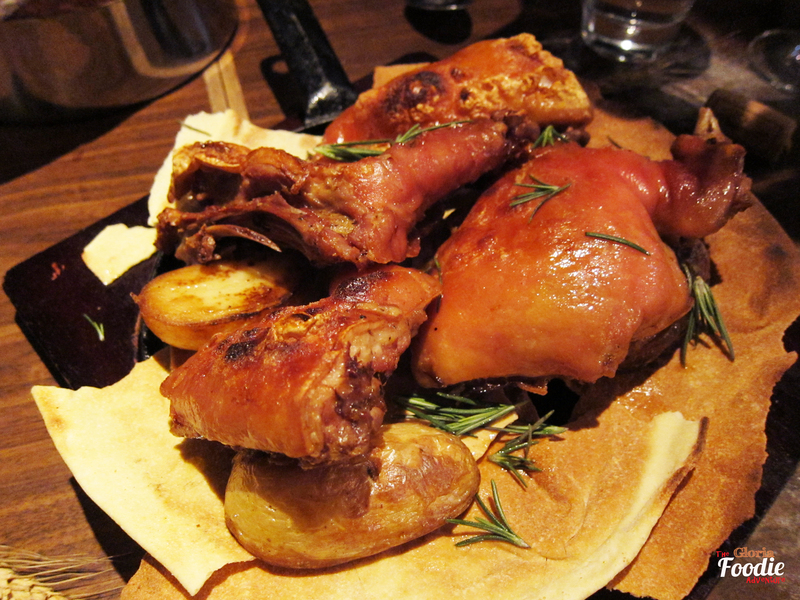 Home » Cuisine » Assaggio Trattoria Italiana – New Style on the Menu! 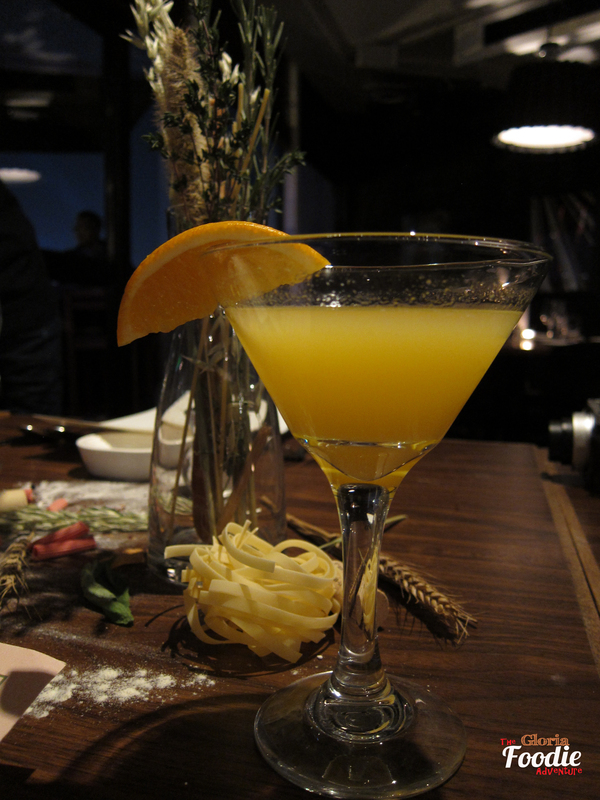 Assaggio Trattoria Italiana – New Style on the Menu! Friends gathering is getting to be more frequent during Christmas season. 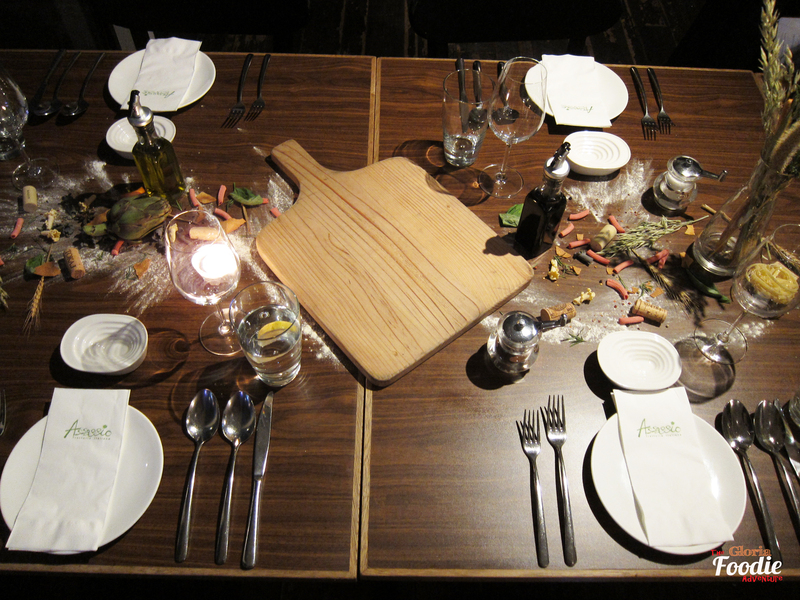 Was invited to try the new menu from the new chef, who has just been on broad for 1 month, at Assaggio Wanchai branch. It was also a great chance to meet with some bloggers before Christmas. Assaggio is very well-known of using ingredients imported directly from Italy and receives the recognition from Italian Chamber of Commerce. The restaurant becomes alive again after Chef Francesco’s arrival together with some of his recipe from his hometown Piedmont. We ordered a bottle of red wine to share but I still preferred cocktail and ordered a glass of EST, which is a mix of gin, peach purée, passion fruit syrup and pineapple juice. A very refreshing tropical with outstanding flavour of pineapple and passion fruit. Chef brought some snacks before getting into the main menu. 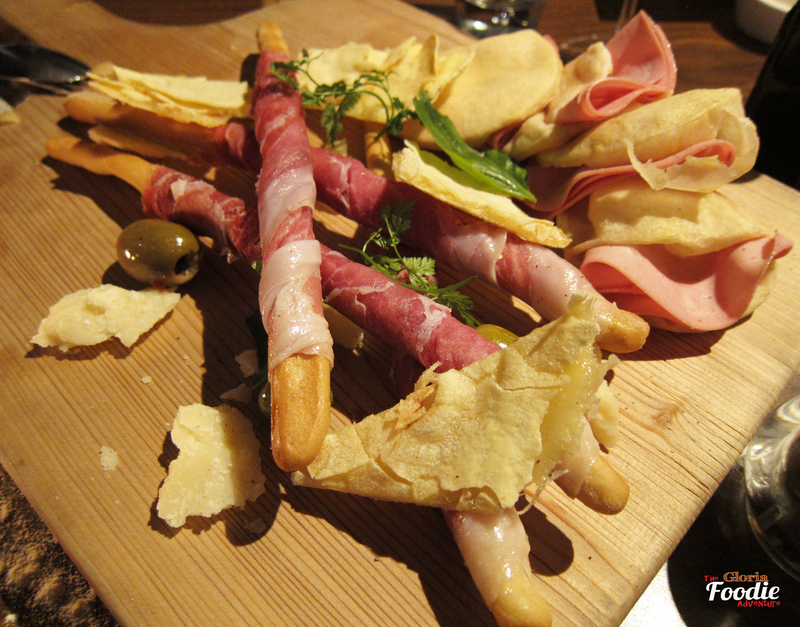 The platter included different types of bread, such as crispy cheese bread, Pita with ham and Grissini wrapped with ham. The saltiness of the ham was so rich and worked really well with Grissini the bread stick, but I do prefer the Pita with the soft texture and light flavour of ham. We all were eager to try the starters since some courses came quite different from the previous chef’s idea. 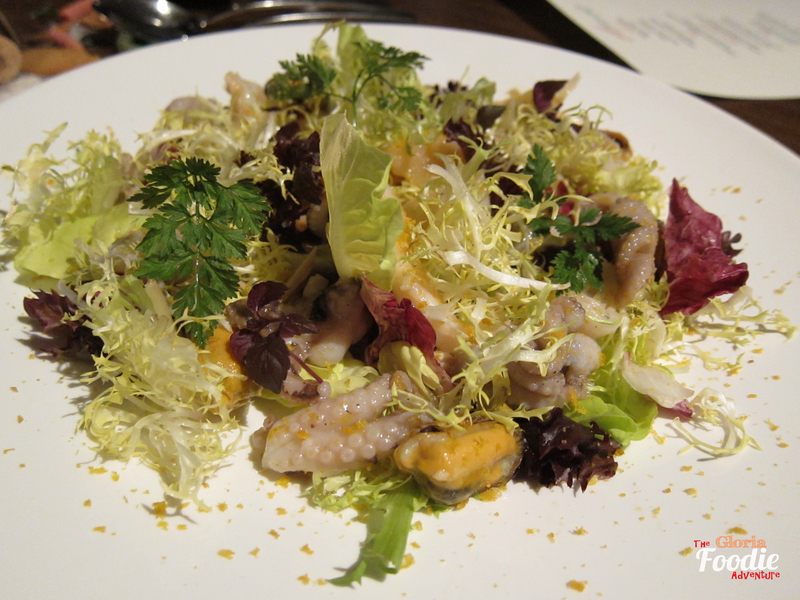 Seafood salad was used with the simplest seasoning – salt, lemon juice and olive oil to bring out the fresh sweetness of the seafood. Roasted veal with tuna sauce tasted surprisingly good with the red beet. However, they couldn’t compare to the deep-fried Caprese. 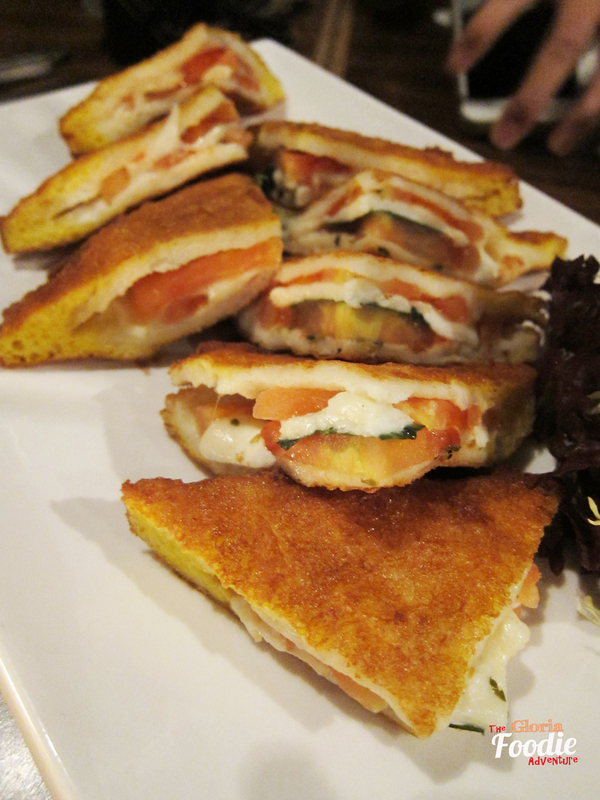 Mozzarella and tomato was wrapped with soft bread and deep fried, which created a contrast on the taste. This pumpkin soup is probably the richest one I have even had. 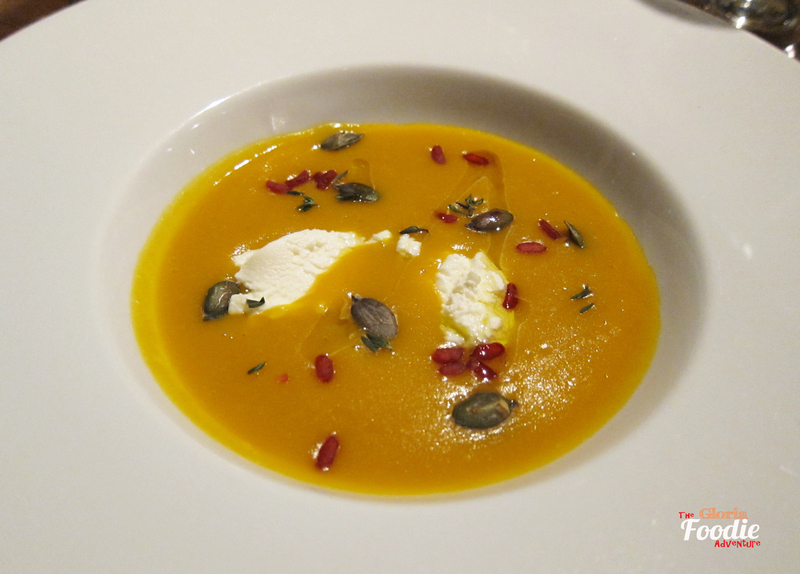 The richness was come from the whole fresh pumpkin used and the goat cheese which brought the soup the thickness. Chef treated all his dishes in great details while using pumpkin seeds and riso absorbed the red beet’s juice to decorate the soup. Chef Francesco brought lots of new ideas and recipes from his hometown, and of cos those would be used on their pasta and risotto. 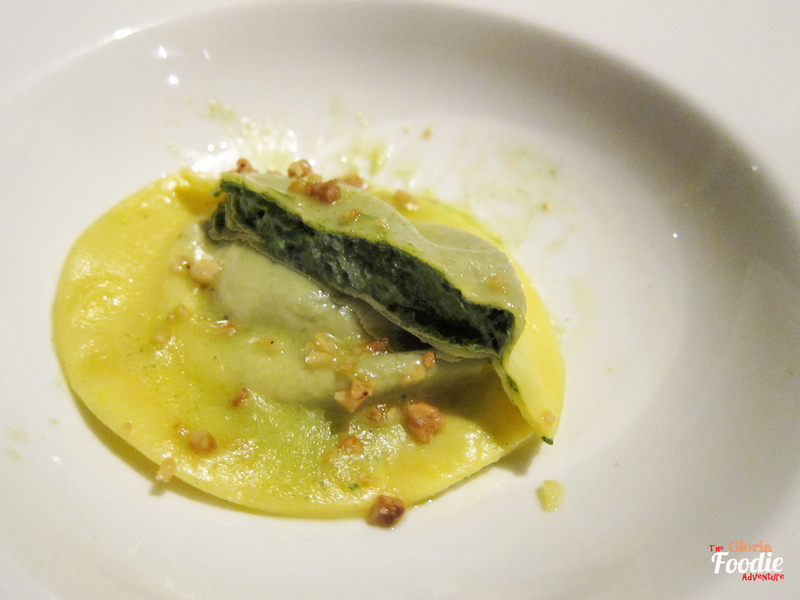 Spinach & Mascarpone Ravioli looked very simple but also very attractive. Spinach and Mascarpone mix was rich but not too much. The following dish, Leek & Pork Sausage Carnaroli Rice, was a surprise. 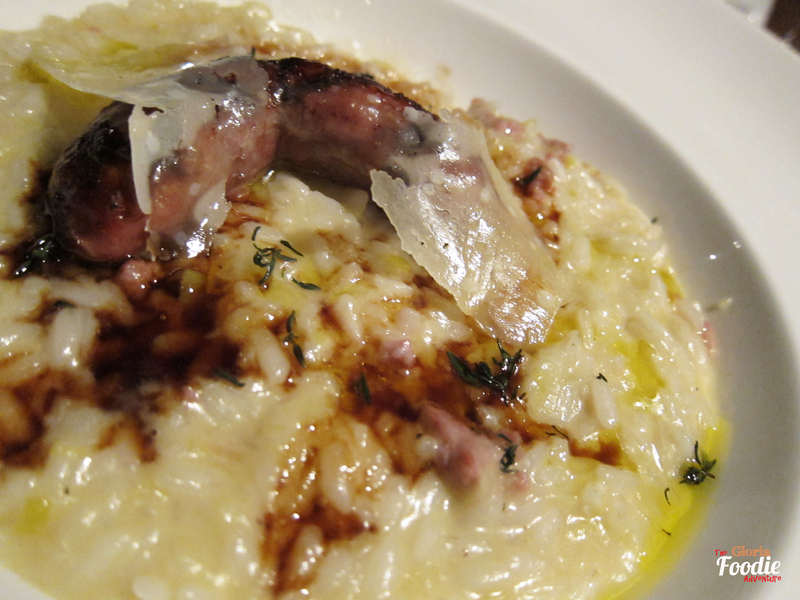 Chef introduced the best way to enjoy it is to eat the sausage and risotto together at the same time. The flavor of the sausage was so strong and therefore Chef only used minimum seasoning on the risotto to make a balance. 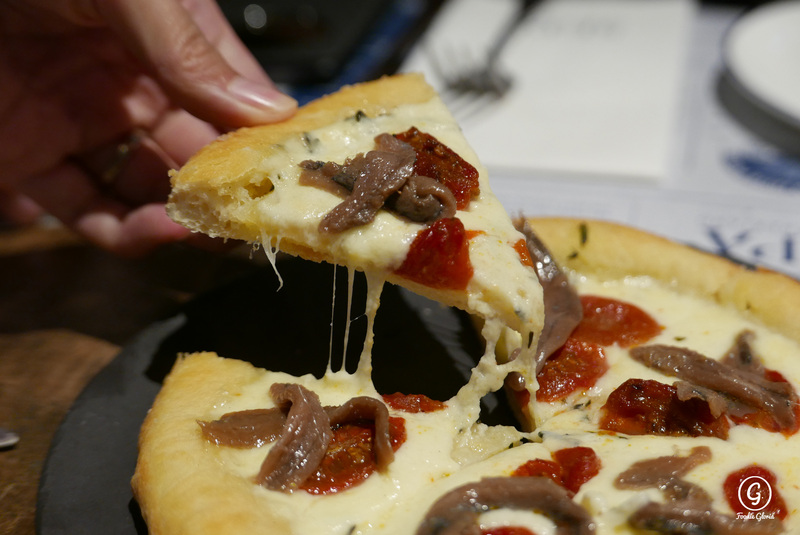 Here you go the second round of main course, Pizza! 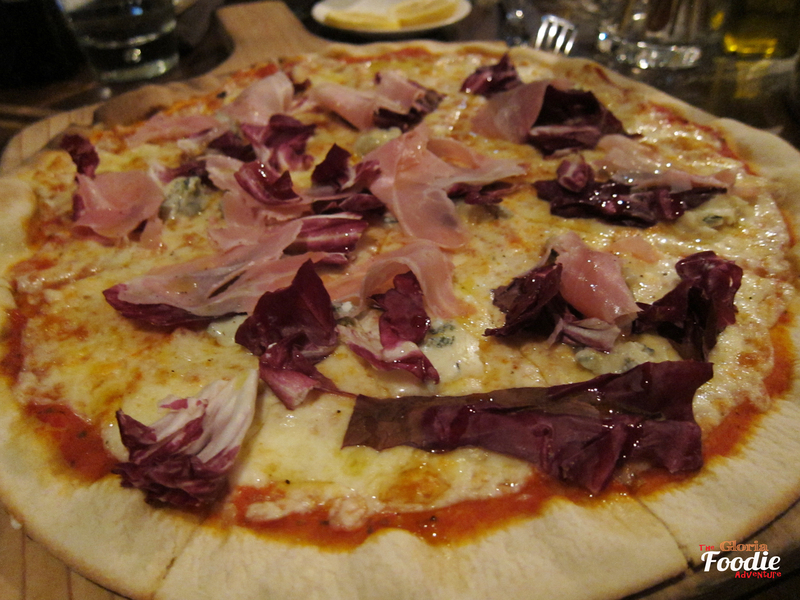 Red chicory, baked ham, Gorgonzola cheese, was a lighter option between two pizzas. The soft Gorgonzola cheese brought out the mild saltiness of the ham. 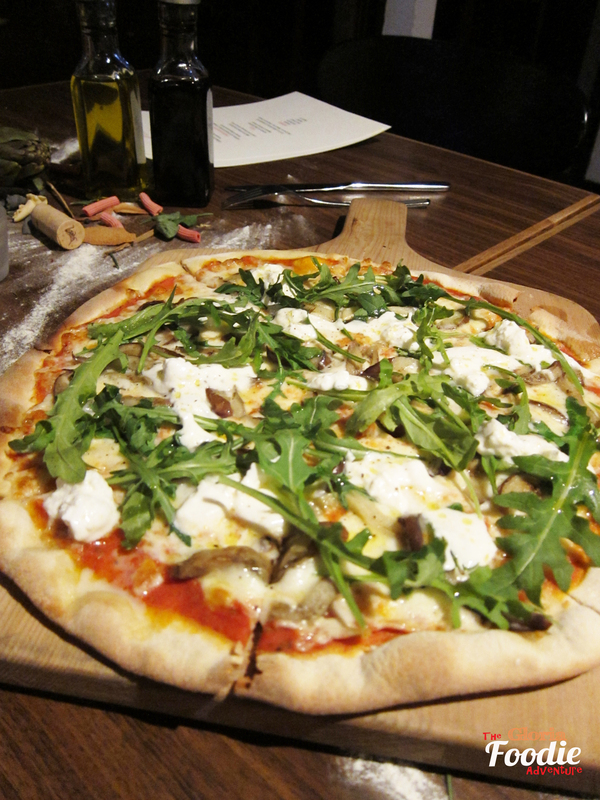 The eggplant & burrata cheese pizza was added with some blue cheese, which made it become very strong on the taste. 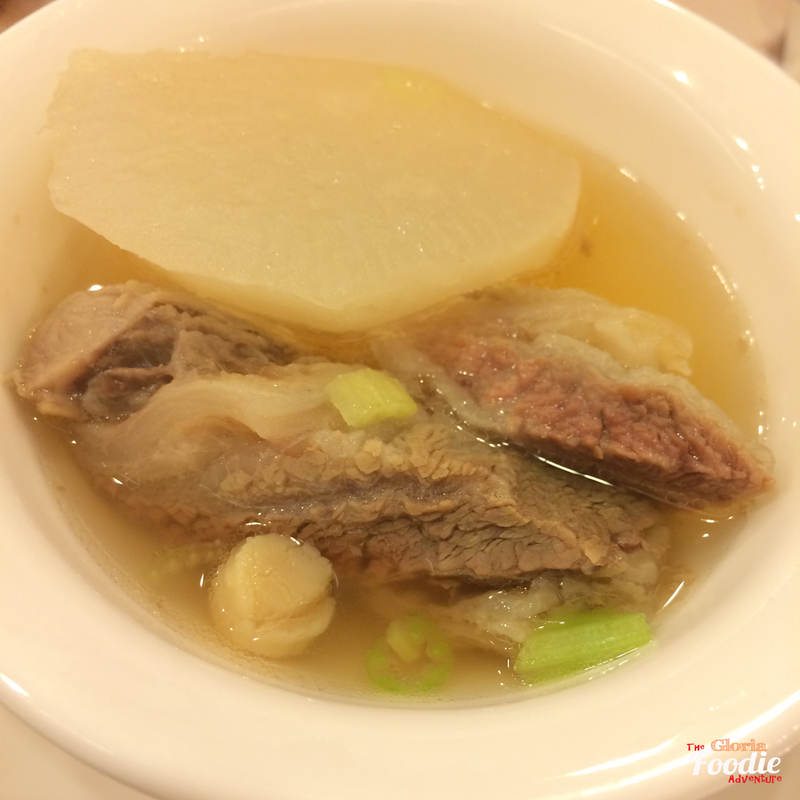 Together with the spiciness of the rocket leaves, it became our favourite. Chef Francesco was so nice to bring us the dish and let us take some photos of him. We also order the signature Suckling Pig. The presentation was so nice because of the crispy golden colour. Skin was so crispy but the meat was so soft. Highly recommend. How could we miss desserts at this lovely and happy dinner? All ladies looked forward to those 5 desserts on the menu. 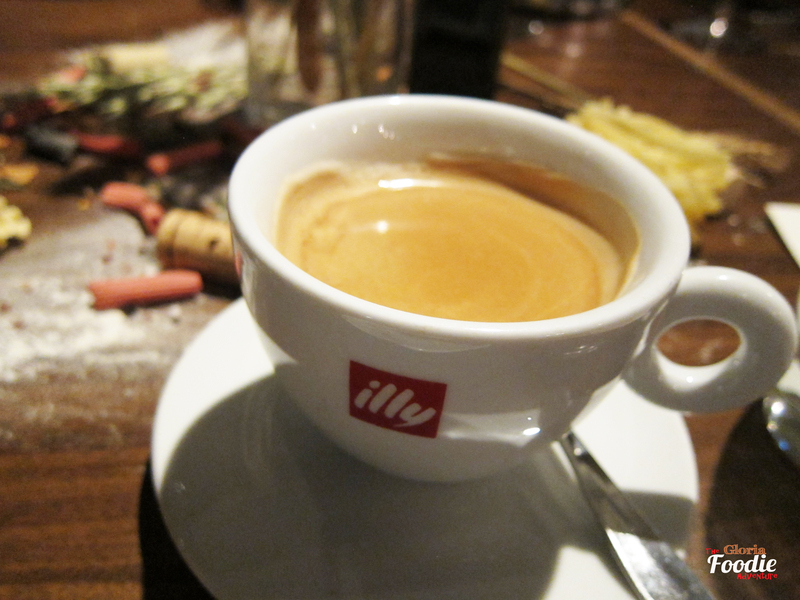 Firstly, the Tiramisu was so smooth and at its right balance on the coffee. Lady finger absorbed the perfect portion of the coffee. 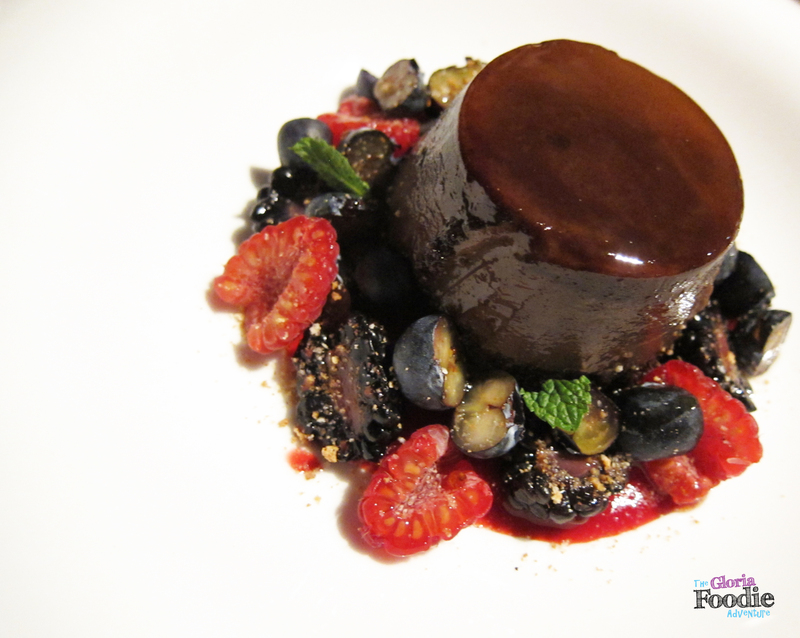 Bounet, the Rum Chocolate Pudding with mixed berries. The chocolate flavour was not strong enough on my point of view. It would be better if it was richer. Millefoglie, also named Thousand Layer Cake with blackberries sauce, was the gal’s favourite. Instead of calling it cake, I would name it as the crispy pancake tower. The pancakes filled with custard was so crispy pairing with the soft cream and a bit of blackberry sauce. Lovely. 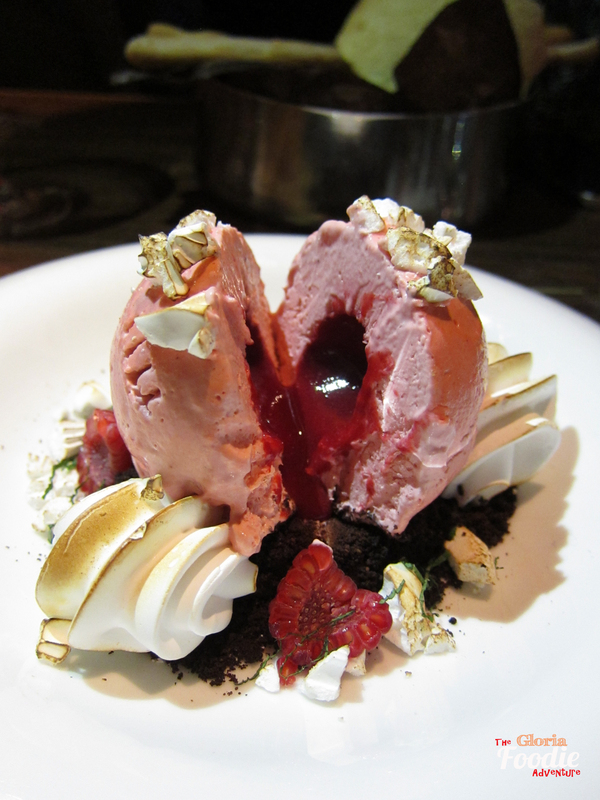 Semifreddo was the raspberry parfait with dark chocolate and meringue. We all thought it was just a combination of parfait and meringue, but it was such as nice surprise when we cut it and found the molten raspberry sauce inside. The parfait was a good match with the dark chocolate sauce underneath. 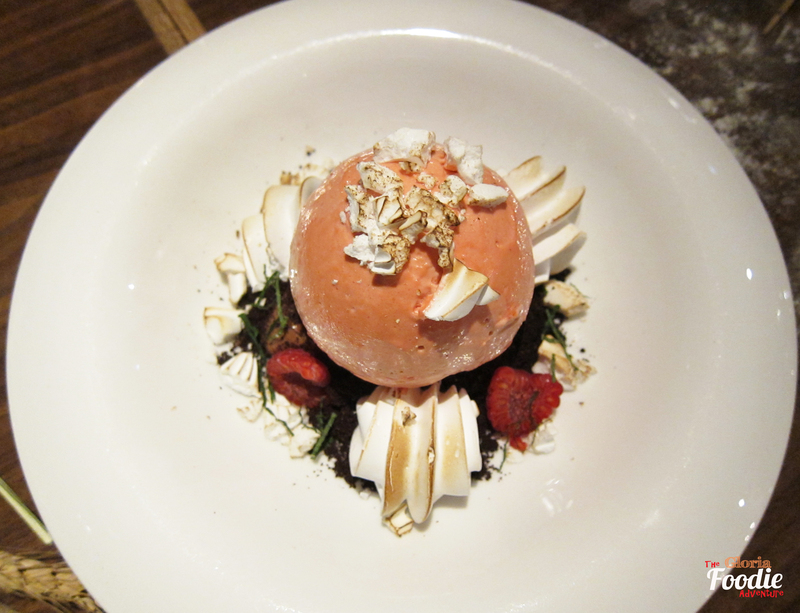 It was a dessert brought you lots of happiness and satisfaction. 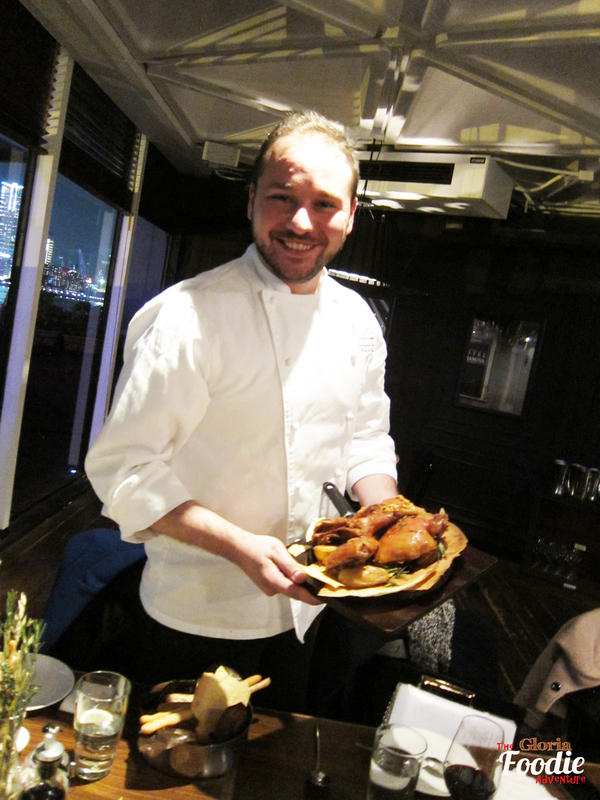 Among all these dishes, it was not difficult to see the details and ideas that Chef Francesco wanted to create. It was all about balance on the taste and ingredients, by using the least seasoning to bring out the most original flavour of the ingredients. Highly recommend.